The terms and conditions detailed below apply to all bookings whether made online at www.apartmentsinstandrews.com or made by telephone or in person or through our affiliate websites. When you make a booking, your contract (which includes these terms and conditions) will be with St. Andrews Apartments. All rates are subject to availability; all bookings are taken at the discretion of St. Andrews Apartments. Please read these Terms & Conditions carefully. Your booking and payment for a holiday constitutes acceptance of them. The contract for a short-term holiday rental shall be made between the client and St. Andrews Holiday Apartments as agents for the owner. The Contract is only effective once we have received your booking details and the required deposit for the let and you the client have received email confirmation of the booking by ourselves. The Hirer shall not sub-let the property or any part thereof. 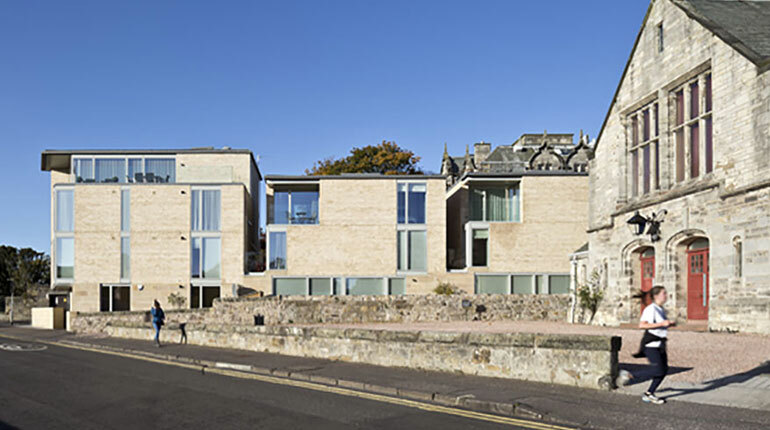 To permit the owner or St. Andrews Holiday Apartments reasonable access to the property. A deposit of 25% is required as confirmation of the booking. The remaining balance will be required 8 weeks prior to entry date. For bookings made within 8 weeks of the arrival date, the total amount is payable. Any payment received by Mastercard, Visa or debit card over the telephone acknowledges and accepts the booking conditions. Payment by debit card, MasterCard or Visa carry a 2.5% surcharge. Cancellation must be made by letter and or email. In the event of cancellation the following terms shall apply. Six months prior to arrival. 10% of deposit or minimum £50 administration fee. Six months to eight weeks prior to arrival. 50% of deposit or a minimum £100 deposit charge. Eight to four weeks prior to arrival. 50% of full cost of holiday. Four weeks prior to arrival date. Full cost of holiday. 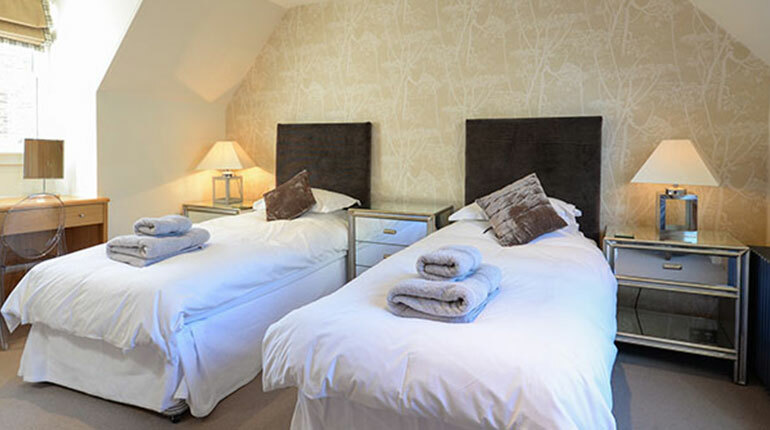 The rate includes Bed linen and towels and the provision of heating and hot water. 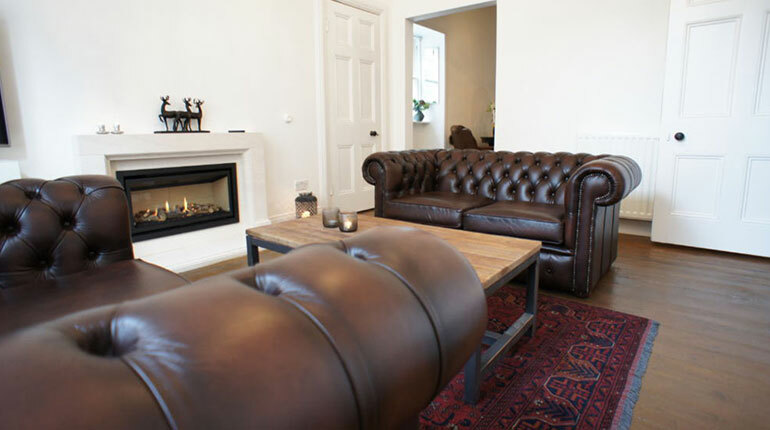 Where properties have wood burning stoves and open fires as a secondary form of heating WE DO NOT supply fuel, guests are expected to purchase fuel for these themselves. Please ask ourselves for the nearest supplier. Where a refundable security deposit has been taken for a property, we will release your deposit within seven days if there has been no unreported breakages, loss or damage to items within the property together with any excess cleaning or refuse disposal required after occupancy. The number of guests staying in the property must not exceed that advertised on the Website. Children staying that are not in a travel cot are counted as a guest. If for any reason beyond our control a property has been rendered unsuitable for holiday letting (e.g. water damage/fire damage/loss of utilities) on the date booked, we will endeavor to offer alternate accommodation or alternate dates, or offer a refund of all monies paid by the client. There shall be no further claim against the owners of St. Andrews Holiday Apartments. Your stay at our properties should be an enjoyable one. Nevertheless, should you have cause for complaint, please advise us immediately, as it is difficult to investigate complaints of any nature once a client has returned home. Regrettably, therefore, it is unlikely that complaints can be accepted and investigated at the end of the hiring period or after the client has departed. As your contract is between yourself and the owner, any complaint will have to be discussed with the owner, before the issue can be resolved. Only where stated on the website for individual properties are pets accepted and by prior arrangement provided that they have their own sleeping bed/basket and are not left unattended in the property. They must be house trained, well behaved, kept off the soft furnishings/beds and exercised away from the premises. Pets must be restricted to the kitchen and lounge areas only. Owners are responsible for ensuring that they clear up after their dog both in gardens and whilst out walking in the area. Holiday makers are reminded that smoking is NOT PERMITTED in any of our properties. If there are indications that you have been smoking in the property, then you will not receive your security deposit. The holidaymaker’s agree that unless otherwise agreed, that arrival is at 4pm on the arrival date and departure is at 10am on the departure date. If for any reason you do not vacate the property by 10am on the departure date then extra costs will be incurred. Holiday makers are responsible for leaving the property in the same condition as when they arrived. This is in a clean and tidy state, with the beds stripped where possible. The hirer binds themselves to pay St. Andrews holiday Apartments for any loss or damage beyond reasonable wear and tear. The hirer is responsible for removal of all refuse at the end of their stay in accordance with the guidelines laid out in the property (except Claremont Lodge, where you should adhere to the specific instructions regarding refuse). Any refuge or recycling left in the property will incur a charge for removal. The hirer undertakes to prevent any member of their party from causing a nuisance or disturbance to any other residents or occupiers. The hirer undertakes to leave the property secure if left unoccupied during their stay. We ask holiday makers to report any breakages or damages whether accidental of not immediately. Where necessary we will expect you to replace or leave money for repair. Likewise we would expect you report any faulty equipment during your stay. In the event of a breakdown a repair or replacement shall be fitted or replacement within 48hrs. We cannot be held liable for a breakdown of any facility which is beyond reasonable control (e.g. breakdown or failure of any electrical equipment, facility or plumbing) or from any misuse or negligence of the client using the equipment. The client or members of his/her party cannot hold the owners or agents responsible for injury sustained or the loss or damage to any belongings during their stay. The property owner or St. Andrews Holiday Apartments accepts no liability for accident, injury, loss or damage sustained by any residents, their family, visitors, animals, vehicles or personal effects however caused. Please consider obtaining personnel holiday insurance for personnel injury and loss of client property. In addition to the terms and conditions stated here, there may be specific terms and conditions which apply to the individual cottages. These will be prominently displayed in the cottage information folders, and constitute part of these general Terms & Conditions.